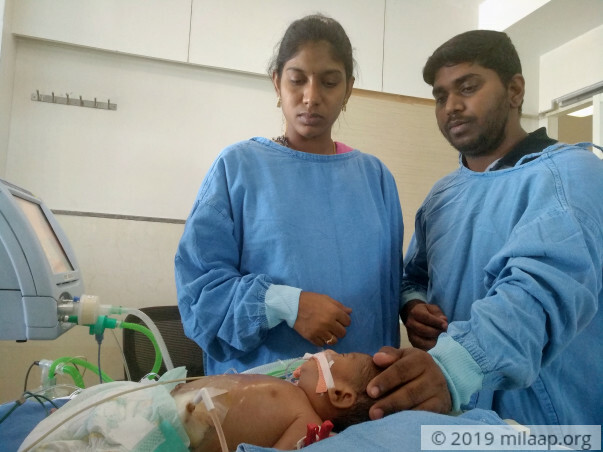 Kranthi and Sushma did all the prep necessary for the childbirth. Sushma went to her parents' house and brought back vessels and soft rags that could be useful. Kranthi baby-proofed the whole house. They did not see the labor pain striking earlier than usual. 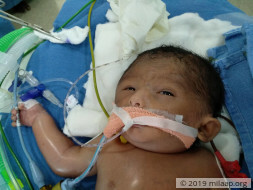 They did not expect the baby to be wheeled into surgery after birth, and they were not prepared to hear that he has just 24 hours to live without another major heart surgery. Sushma's son was not breathing when he was born. Investigations showed that the veins that take pure blood from the lungs to the left side of the heart, were too narrow, and go to the right instead. Furthermore, the heart is pumping pure blood back to the lungs instead of the rest of his body. 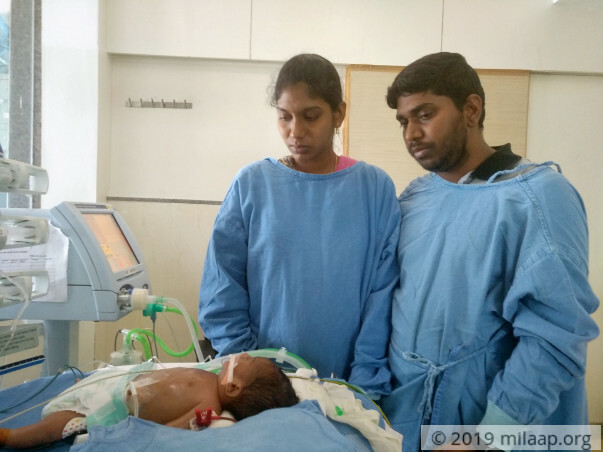 The emergency surgery was to ensure the pressure was relieved in the lungs and he has been on the ventilator ever since. The parents are distraught, unable to hold their son in their arms. It took about 5 days for his lungs to stabilize and now, this little boy needs to be wheeled in for another surgery. 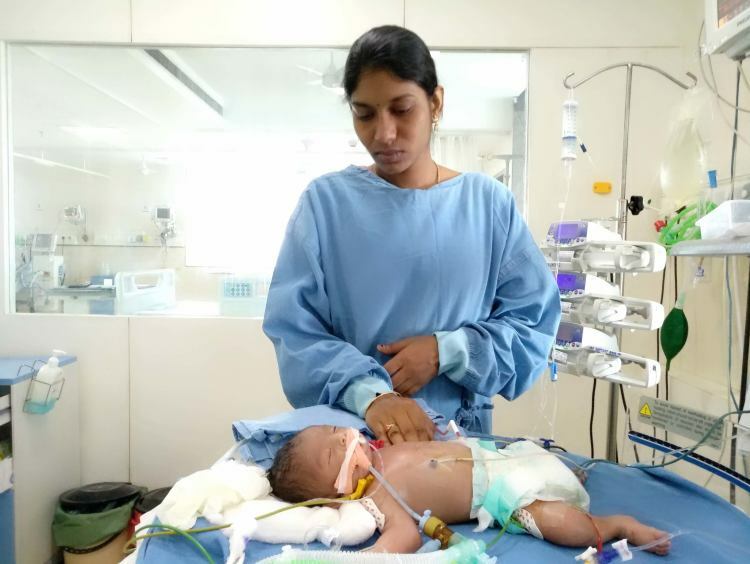 With less than a week's notice, Sushma and Kranthi are at a loss for options to raise the money required for the baby's medical treatment. Kranthi and Sushma had bought toys, clothes, diapers and everything that their son required. 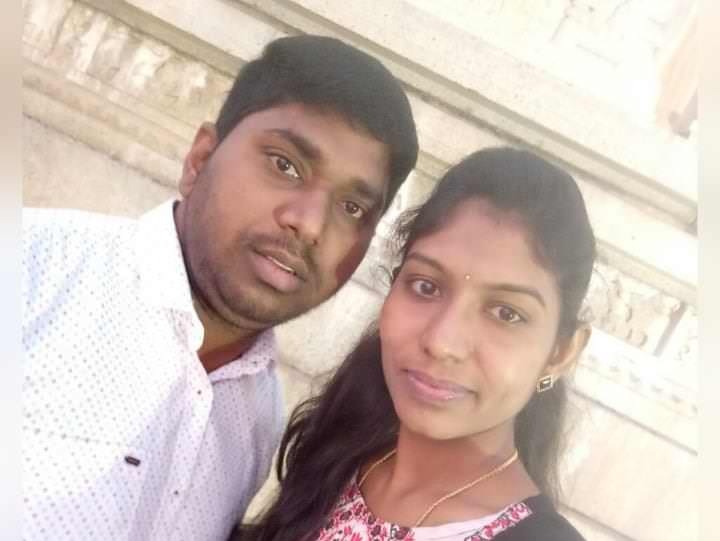 They were superstitious about choosing a name before birth, but ensured the little child will have everything possible as soon as he was born. Kranthi has spent close to Rs 3 lakhs in the last 3 days. 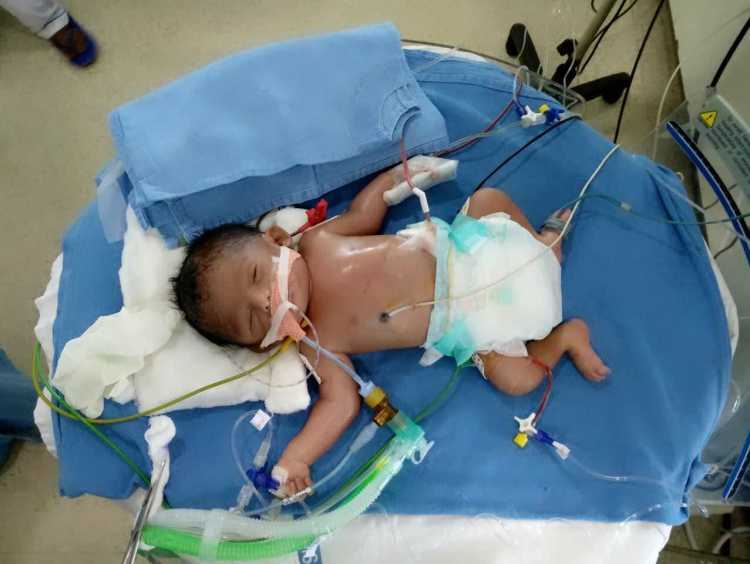 He needs another Rs 6 lakhs for surgery, but he has no way of arranging for that amount in 24 hours to save his baby. Your help will give these parents a shot at saving their baby. 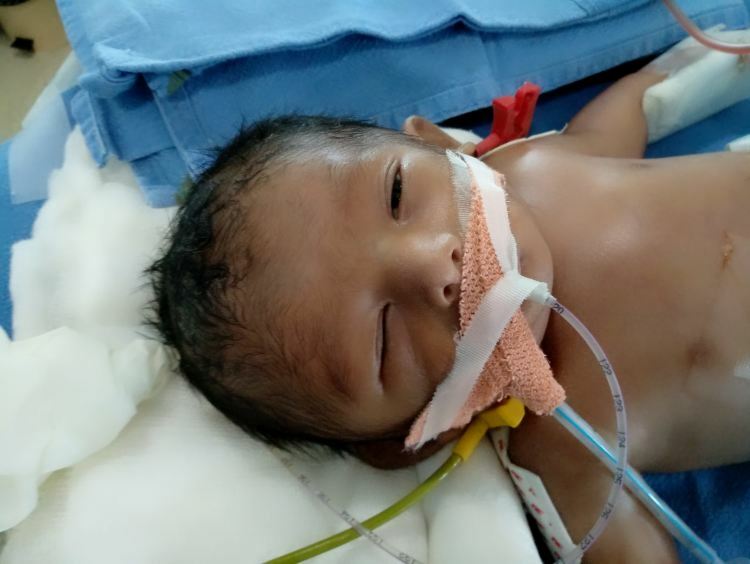 Thank you for the wonderful support that you have shown towards Sushma's baby. I have some unfortunate news to share with you today. Sushma's baby passed away on Saturday, (5th May). This tough brave kid fought really hard but developed complications. The doctors tried their best but she had a cardiac arrest and could not be revived in spite of the doctors best efforts. The funds raised will be utilised to clear her pending medical expenses. Thank you all once again. Please do pray for the babies soul to rest in peace. 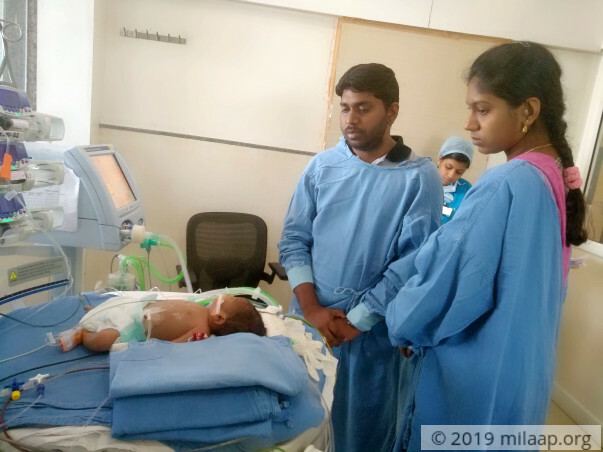 The baby underwent a successful eight hours surgery yesterday but his condition is still critical. As of now, he's on ventilator support in ICU. The swelling hasn't reduced much and the doctors have suggested that the baby might stay in ICU for couple of weeks. His chest was also closed on Tuesday. 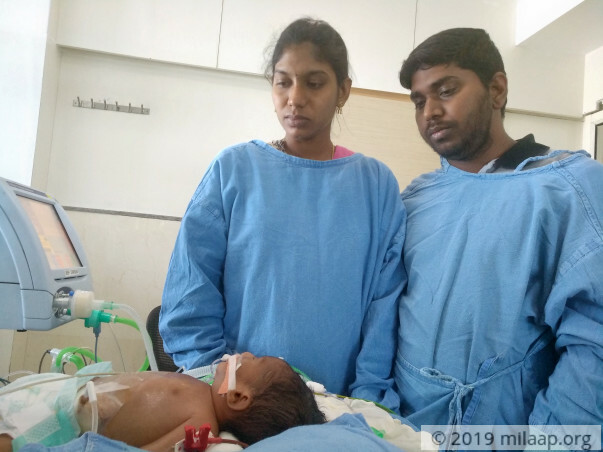 Doctors will monitor the baby closely for the couple of weeks before they can decide any future course of action and he will stay under prescribed medication. The post-surgery period is very important for the baby. I have attached a picture of him for you all. 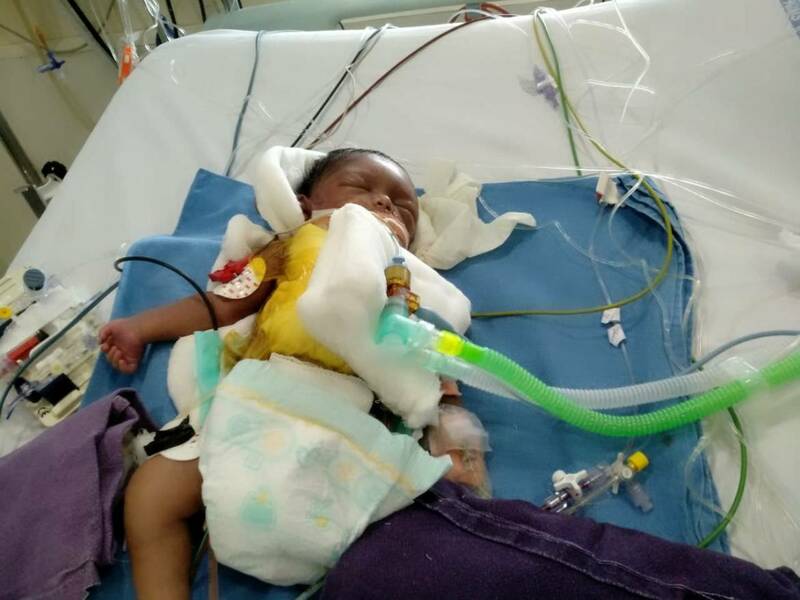 I'd request you all to please pray for his recovery and We sincerely thank each one of you for the love and support which you have shown towards my baby, We shall always be grateful to each one of you. Thank you so much and I will try my best to keep you all posted. As of now the baby is on ventilator support. He has undergone a surgery recently and one more surgery is scheduled for him. According to the doctors, he might stay on ventilator for while unless they are sure. It's a tough time for the couple to see their newly born in this condition. We sincerely thank each one of you for your support, we shall keep you all posted. God bless the baby !